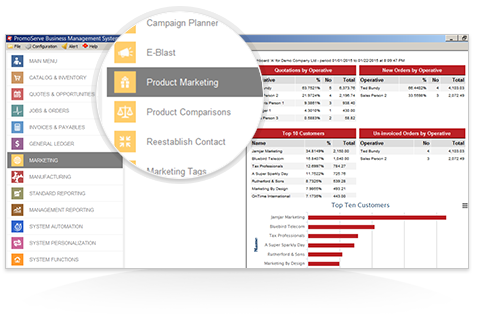 The Campaign Planner lets you map out your marketing activity, and assign goals and budgets to each campaign. 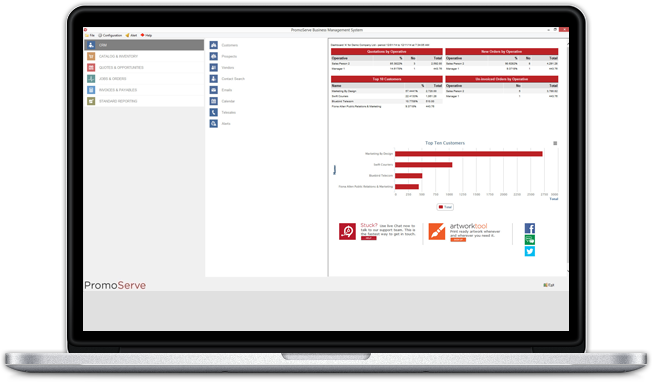 You can record how many responses, quotes and orders were generated as a result, giving you an accurate measure of your return on investment. 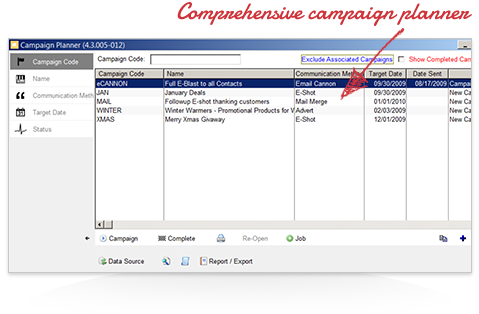 Telesales and mailing campaigns can be actively launched from the Campaign Planner, and email marketing lists compiled. The Product Marketing report makes the task of targeting your customers and prospects with appropriate and timely messages very simple. You can create lists of customers based on their quote and order history, for example, everyone who received a quote for golf items in the last 3 months, but didn't order. That list can be used to send an email with a special offer on branded polo shirts, for example, and you can add it to your sales reps' diaries to make calls. Re-establishing contact with customers is easy with PromoServe. 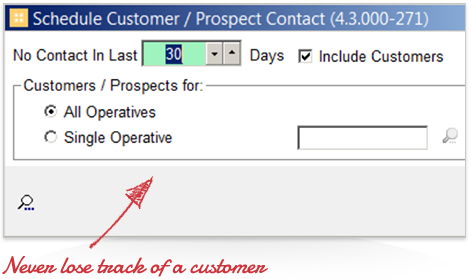 Just set your criteria to 'No contact in the last x days', and then review your list by individual sales rep., or all. Add the list to your email marketing program to remind them of all the wonderful reasons they should order from you, or add the calls to your sales reps' diaries.